The suggested dose for lecithin varies widely depending on the reason for use. Drugs.com states clinical trials have used anywhere from 1 g to 35 g daily. Additionally, the University of Pittsburgh Medical Center explains that many studies have used lecithin supplements that contain much higher concentrations of phosphatidylcholine than found in supplements available for purchase – 90 percent versus 10 to 20 percent. This means that doses weaker than those used in studies might prove ineffective. 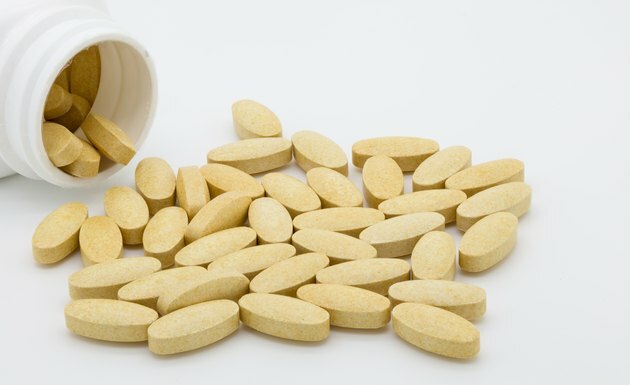 Between the wide range of doses studied and the reduced phosphatidylcholine content of commercial lecithin supplements, is it especially important to seek professional guidance concerning a suggested dose necessary to achieve therapeutic benefit. The University of Pittsburgh notes that in various studies for psychological and neurological disorders, doses of 5 to 10 g were given three times a day, while in studies for liver disease, 350 to 500 mg were given three times a day, and in high cholesterol studies, 500 to 900 mg were given three times a day. The University of Michigan Health System notes that in studies for high homocysteine levels, 34 g doses were given twice a day, while in tardive dyskinesia studies, 25 g doses were given twice a day. Some studies used isolated extracts of phosphatidylcholine doses such as 3 to 4 g in ulcerative colitis studies, 3 g in hepatitis studies and 300 mg to 2 g in gallstones studies. Certain conditions make your body particularly vulnerable to the drugs and supplements you consume and for this reason, you might need to forgo use altogether or alter your doses. If you are pregnant or nursing or have liver or kidney disease, your doctor might suggest different doses than the ones recommended, so it is particularly important that you do not begin using lecithin supplements on your own without any input from your physician. When used appropriately, lecithin appears to be a generally safe supplement. Higher doses might cause side effects such as gastrointestinal issues and a fishy body odor. The University of Michigan Health System notes reports of large doses of choline causing depression.